Michael Chabon is one of my favorite authors. 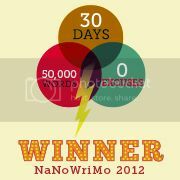 I always get the sense when I am reading his novels that I am in the hands of someone much smarter and wittier than me. 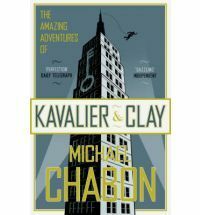 In Kavalier & Clay, Chabon enters 1940’s America, with two young men who create a comic book hero, The Escapist, and from there grow an impressive comic book empire and legacy. We follow cousins Sammy Clay and Josef Cavalier as they grow up, the nation goes to war, they grow apart and eventually come back together. And some other stuff happens too. I should mention that there’s an element of homosexuality in this novel as well, so if that’s not your thang then you may be put off by it. Also, as all of Chabon’s novels are, this is grossly long and dense. It’s not a beach read. You have to use your brain and concentrate and not skim, or you’ll miss something important. Sometimes a key word is just buried in the middle of a paragraph and it can turn everything on its ear. Watch out for that. All in all, I’m glad I read it, and I can knock it off my TBR Pile. But it’s not for the Average Joe or Jane. Oh, but it did win a Pulitzer in 2001.